For some people, alcohol, tobacco, and firearms sound like a winning combination for a Saturday afternoon. For the United States government, they represent the difficult balance between preserving the rights of citizens and maintaining a safe and orderly society. Fortunately, agents of the Federal Bureau of Alcohol, Tobacco, Firearms, and Explosives exist within the Department of Justice to walk that regulatory tightrope. Formerly part of the Department of the Treasury, ATF agents trace their roots to the earliest days of the U.S. Republic, when a taxing body was established to collect taxes on alcohol. Throughout the history of the United States, the bureau now known as ATF has existed within the Departments of Agriculture, Treasury, and now Justice. During the period of Prohibition, these tax collection agents became a distinct body known as the Prohibition Unit, the most famous member of which was Elliot Ness, the treasury agent known for bringing down notorious gangster Al Capone. Interestingly, it was Ness' team that also brought prominence to the field of forensic accounting. Today, the Bureau of Alcohol, Tobacco, Firearms, and Explosives investigates violent crimes and criminal organizations. Agents are responsible for enforcing laws relating to firearms trafficking, fire and arson investigations, unlawful sale and distribution of alcohol and tobacco, and the use and storage of explosives. 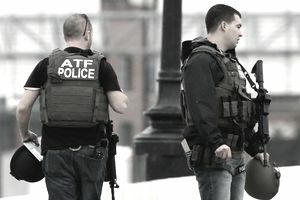 ATF agents work in field offices across the United States and within U.S. territories. They may be required to work long and irregular hours and travel often and for extended periods of time. Agents conduct intensive investigations of dangerous criminals and criminal groups. By the very nature of the investigations they undertake, the job of an ATF agent is inherently dangerous and strenuous. It can, however, also be very interesting and personally satisfying. ATF agents may be called upon to assist other agencies and law enforcement departments at the federal, state, and local levels. They may also be subject to reassignment to any field office across the country. Candidates for a position as a special agent with the Bureau of Alcohol, Tobacco, Firearms, and Explosives must have a bachelor's degree, three years of prior law enforcement work history, or a combination of some college and criminal investigative experience. Agents must undergo an extensive hiring process, consisting of a physical abilities test, thorough background investigation, medical, and polygraph exam. Applicants must be between the ages of 21 and 37 at the time of appointment and must have registered for the selective service. Once hired, aspiring ATF agents undergo an intensive 12-week training program at the Federal Law Enforcement Training Center in Glynco, GA. Upon completion of the law enforcement training, newly hired agents then move on to a 15-week special agent basic training program where they learn the specific knowledge they will need to carry out the mission of the bureau. Growth rate within investigative careers is expected ​to be slower than the national average, at a rate of between 7 percent and 9 percent. However, because of earlier retirement ages and natural attrition, ATF agent careers will continue to be available periodically. For information on specific job openings, ATF agent hopefuls can visit the USA Jobs website. ATF agents earn a base salary of between $33,829 and $42,948. Agents are also eligible for locality pay additives of between 14 percent and 35 percent, as well as law enforcement availability pay of 25 percent. This means a new agent can earn up to $69,000 depending on the previous level of education, experience, and initial duty assignment. Is a Career as an ATF Agent Right for You? Working as an ATF agent can be both challenging and rewarding. Agents must have functional knowledge of a range of topics, including fire investigations, firearms identification, alcohol and tobacco laws, and criminal investigations. If you want to work in a federal law enforcement career and are interested in the wide variety of investigative opportunities the ATF affords, you may find that a career as an ATF agent is the perfect criminology career for you.